Richard R. Plude Sr., 81, of Champlain Avenue in Whitehall, went into the arms of the Lord on Sunday evening, Jan. 13, 2019, at his home, with his loving wife beside him, along with his dear friends Dan Manor and Bonnie Tracy. Richard was born on Aug. 8, 1937 in Whitehall, the son of the late Guyle and Evelyn (Gandrow) Plude Sr.
Richard married the love of his life Frannie Mallory Plude on Dec. 12, 1959, recently celebrating 59 years together and raising a family. 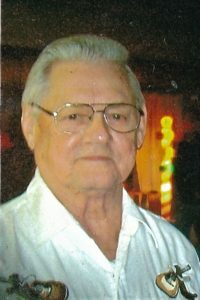 In addition to his parents he was predeceased by two sons; Roger R. Plude and Robert R, Plude, his brothers; Guyle Plude III, Francis Plude, Albert Plude, David Plude, his sisters; Joan Plude Pond and Carol Plude Hurley. Richard is survived by his children; Richard R. Plude Jr. (Lisa) of Hudson Falls, Reginald R. Plude of St. Peterburg, Florida, daughter Roxann R. Plude Therrien (Barry) of Whitehall, four Granddaughters; Amarylis Plude (Andrew) of South Carolina, Crystal Plude (Alan) of Claremont, New Hampshire, Christa Bowman (Nate Nadeau) of Ticonderoga, Four grandsons; William “Billy” Ingleston Jr., Heath Ingleston, Marcus Therrien, all of Whitehall and Christopher Therrien of Saratoga. Five great grandchildren; Drew, Blake and Lilliana Plude of South Carolina, Luke Nadeau of Ticonderoga, and Emma Rose of Claremont, NH. He is also survived by his dog Miley, his brother John (Carol) Plude of Queensbury, sisters; Linda (Jack) Eggleston of Dresden, Bonnie (Bob) Plude of Hudson Falls, and very special nieces and nephews. Richard had a love for music, singing, playing his guitar and organ, he was in several bands over the years. He also loved to go fishing, painting, doing puzzles and playing games on his Wii. He was a member of the Whitehall BPOE 1491 and the Whitehall Senior Citizens for many years. Richard loved to talk and visit with everyone. The family would like to thank Keri Devlin and the staff at the Whitehall Health Center and the C.R. Wood Cancer Center for all of their love and care. Family and friends may call from 1-3 p.m. and 5-7 p.m. on Thursday, Jan. 17, at the Jillson Funeral Home Inc., 46 Williams Street in Whitehall. A Mass of Christian Burial will be conducted at 11 a.m on Friday Jan. 18, at the Our Lady of Hope Roman Catholic Church on Skene Street in Whitehall, with the Rev. Rendell Torres Pastor officiating. Burial will take place in the spring in the Greenmount Cemetery. The Whitehall BPOE will hold a Lodge of Sorrow at 6:45 p.m. on Thursday, Jan. 17 at the Funeral Home. Online condolences may be made at jillsonfuneralhome.com.